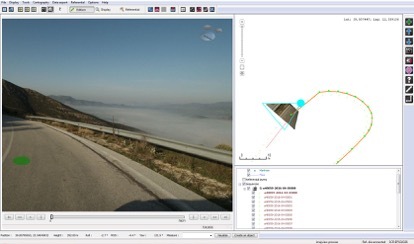 Map Ltd., in the frame of the project “Development of Broadband Infrastructure in Rural Areas” White Areas of Greek Territory and Operation Services – Development of Infrastructure”, has undertaken the mapping of the optical fiber axis installation channel. The total mapping will cover an area of 2,500km including routes in North Aegean Region (Samos), Western Greece (Etoloakarnania), Epirus (Arta, Thesprotia and Preveza), Thessaly, Ionian Islands (Corfu), South Aegean (Cyclades) and Central Greece (Evia, Evrytania, Fthiotida and Fokida). For the needs of the project, an up to date methodology of Mobile Mapping System has been chosen, covering the technical specifications in total, with horizontal and elevation accuracy better than 10cm.